An ethics committee in Colorado voted unanimously Monday to continue an investigation into allegations former governor John Hickenlooper accepted free jet rides in violation of state law. 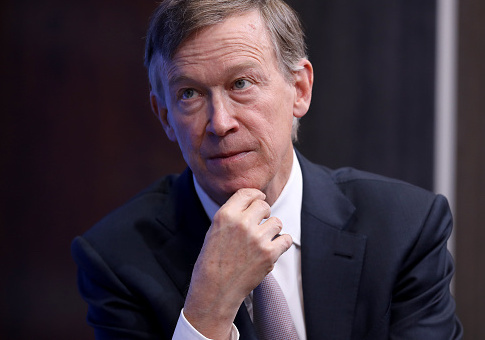 The decision comes just days before Hickenlooper will make stops in the first primary voting state of New Hampshire, as he considers a presidential run. Frank McNulty, a former Republican speaker of the Colorado house, filed the complaint with the state's Independent Ethics Commission in October of last year, just weeks before Hickenlooper was set to leave office because of term limits. In the previous meeting, the IEC voted to narrow the area of investigation to just five trips the governor took between 2017 and 2018. Hickenlooper's team has refuted the allegations. "The complaint has very little to do with state policy. … The factual and legal jumps there would make Evel Knievel worried," Hickenlooper's attorney, Mark Grueskin, was quoted as saying by the Denver Post. Among the five events still at issue are a trip to Texas for the wedding of the brother of Elon Musk, founder of electric car company Tesla, and a trip to Italy for a gathering of other government and corporate leaders. The Post also reported that one of the commissioners on the IEC said the investigation has already begun. Hickenlooper was a two-term governor of Colorado and mayor of Denver.